Off Campus Writers' Workshop - Amy Hassinger - What is Creative Non-Fiction and Why is it the Next Big Thing in Your Writing Life? Amy Hassinger - What is Creative Non-Fiction and Why is it the Next Big Thing in Your Writing Life? What is Creative Non-Fiction and Why is it the Next Big Thing in Your Writing Life? The pairing of the word “creative” with the word “nonfiction” makes some journalists wince, and with good reason. But “creative” doesn’t necessarily mean loose with the facts. It has more to do with how a piece of nonfiction is put together—with an innovative structure, maybe, or a searing attention to its own musicality, or some other unique effect that lifts the piece out of the routine and into the extraordinary. Together we’ll look at some striking examples from this broad genre, and do some creative experimenting of our own. Lecture/discussion/writing exercises. Appropriate for curious writers of any genre. Amy will accept fiction and non-fiction manuscripts. Please see manuscript guidelines for details. Amy Hassinger is the author of three novels: Nina: Adolescence, The Priest’s Madonna, and After the Dam. Her writing has been translated into five languages and has won awards from Creative Nonfiction, Publisher’s Weekly, and the Illinois Arts Council. Her nonfiction has appeared in numerous venues, including The New York Times, Creative Nonfiction, The Writers’ Chronicle, and The Los Angeles Review of Books. 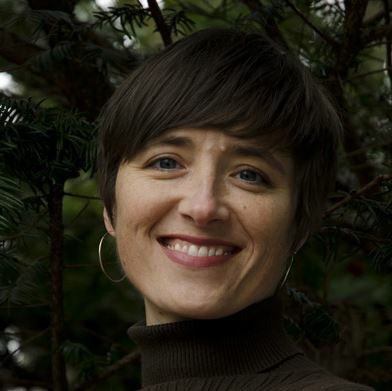 She is a graduate of the Iowa Writers’ Workshop and teaches in the University of Nebraska’s MFA in Writing Program. You can find out more about her at www.amyhassinger.com.